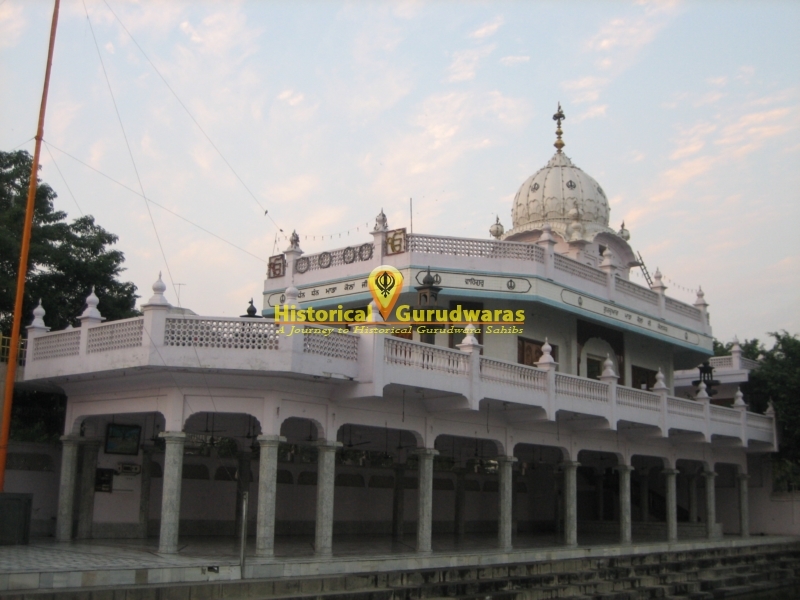 GURUDWARA SHRI MATA KAULSAR SAHIB is situated in the Amritsar city. 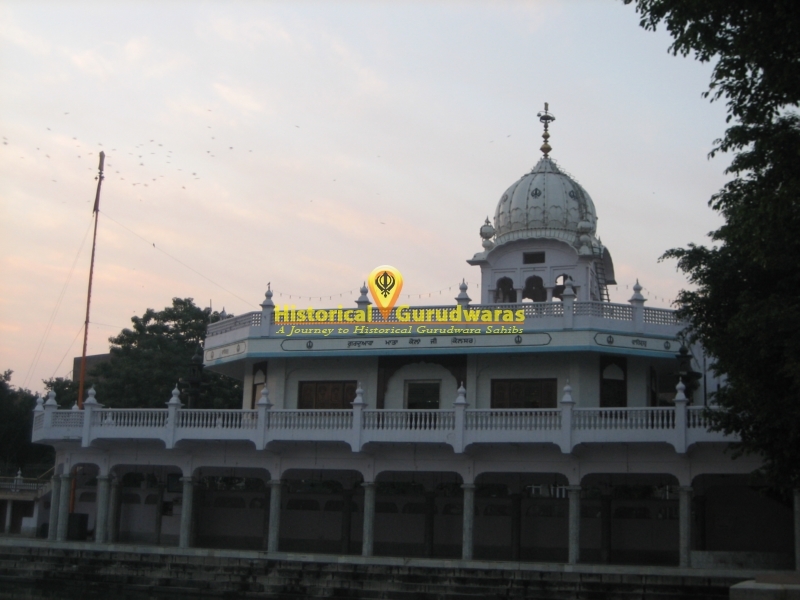 This GURUDWARA SAHIB is situated on the back side of GURUDWARA SHRI HARIMANDIR SAHIB and on the west of GURUDWARA BABA ATAL SAHIB JI. 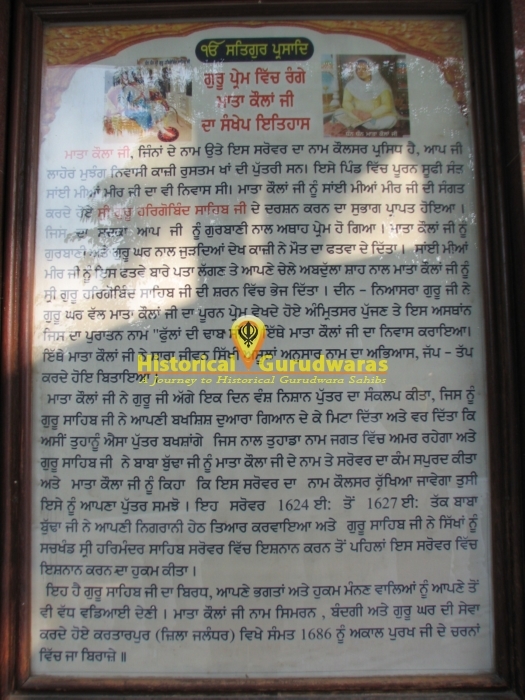 This GURUDWARA SAHIB is in memory of MATA KAULAN JI, a spiritual muslim Lady, daughter of Qazi Of Lahore. Her father Qazi of Lahore had pronounced death, due to her devotion to SHRI GURU HARGOBIND SAHIB JI. SAI MIAN MEER JI who was living in the same village rescued her and brought her in the protection of SHRI GURU HARGOBIND SAHIB JI. MATA JI spend her rest of life devoting to service of mankind and meditation. Once she posed the affection of having a son(marrying GURU SAHIB). GURU SAHIB ji realising her feelings, eliminated them through eternal enlightenment. On this MATA JI expressed her feelings that after her death no one will ever remember her. GURU SAHIB blessed MATA JI that her name will remain for ever through the holy srover. 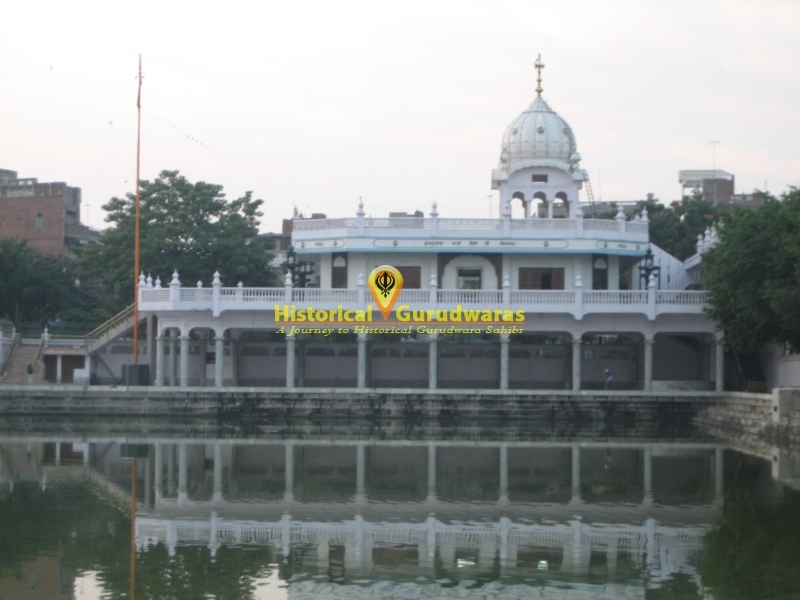 GURU SAHIB has directed all devotees to take a dip in Kaulsar sahib srovar before going to SHRI HARIMANDIR SAHIB.